Of course, I forgot that Booker’s is always bottled at cask strength, which almost knocked out my compatriots. They wanted water and ice to cool down their flaming palates. Mission failed. So much for Rickhouse, and my credibility. 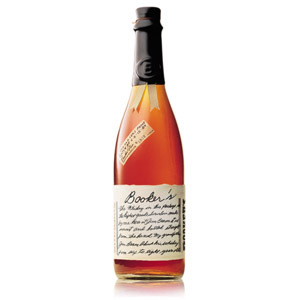 Booker’s, named after creator Booker Noe (Master Distiller for Jim Beam for 40 years) is bottled unfiltered and at cask strength in small batches after 6 – 8 years of age. Here are my notes for this fiery cask-strength Kentucky Straight Bourbon. Color: Very dark, even for a bourbon – mahogany. Nose: Spicy rye and cinnamon accost the nose, like red hot pokers of nutmeg and chai directly to my sinuses. You’ll want to approach this one carefully. Under the spice is a deep sea of woody caramel, and fruit verging on red plum and cinnamon applesauce. Every note is big and bold, and accompanied by a fiery nose burn that is more pummel than tickle. Palate: Expected torrents of fire course across the tongue. When the burn (and the tears) subside, one is left with a roiling sea of dark chocolate, cedar chips, applewood smoke, burned simple syrup, charcoal, and unfathomable depths of woody corn sweetness and caramelized sugars. Finish: Long, and very astringent (drying). Cinnamon dominates, oak tannin, walnut skins, and on the tail end, marshmallow cream. Cries out for water. With Water: After a liberal (and, I have to admit, somewhat vindictive) dilution with water, I now get a bright piercing peach note on the nose, clove, maple sugar candies, and I can actually get my nose in the glass. The palate, though still fiery, shows a neater, more orderly array of bakery sweets, nuts, cereal sugars, and wood sap. The finish might be somewhat more bitter and herbal, with notes like rosemary and raw ginger coming to mind. Overall: With or without water, this is a big drink. While I’m relatively comfortable with the sipping of cask-strength whiskies neat, something about the craggy mountain of flavor that is Booker’s was a big challenge for my nose and palate. The alcohol, although mature, is aggressive and untamed from the assault on my nose, through the river of fire on my tongue, until the tail end of the desiccating dryness of the finish. The usual characters are here in abundance: cinnamon and nutmeg, implied fruitiness (although not a clear cherry note like I find in other bourbons), charcoal, heavy oak, and sticky-sweet caramelized corn syrup. Do yourself a favor, though, and dilute this one heavily with water. Put some hair on your chest with a first sip neat, if you must, but you’ll likely burn out your palate if you drink an entire dram as-is. Also, water seems to both tame and educate this beast, revealing new notes and cleaning up the sloppy wildness of the original ones. Acquired: Glass 50ml miniature bottle. Agreed. I marked it ‘Recommended’ because as long as you know what you’re getting into (ABV-wise), it’s worth the money. 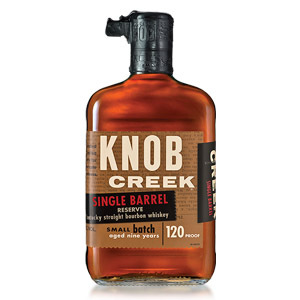 I found that a little under 1/3 dilution (1 part water to a little more than 2 parts bourbon) gave me an enjoyable dram. You could actually do the math, and dilute the hefty 64% alcohol to 43% – 46%. This also gives you “more” bourbon for your $50, by almost a third. 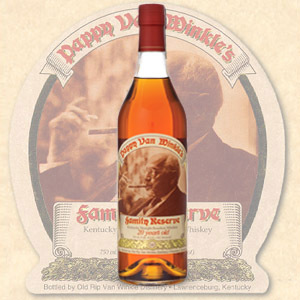 This is my favorite bourbon (Then again, I’ve never had stuffy like Pappy’s), and one of my favorite whiskeys. The fire and spiciness probably contribute to my love. I can understand why this one gave you more troubles neat than a Scotch bottled at cask strength, to my palate bourbon usually is spicier than scotch and usually has more of a burn. I couple years ago my local Costco had this for $45 a bottle. I miss those days. With out travelling to the Bay Area, I can’t find it for less than $60, still a strong deal at that price. I bought a bottle of this stuff years ago, maybe mid-ninties. I drink Scotch almost exclusively, but I go on a bourbon buying binge every now and again. Based on your review I think it might be time to dust it off and crack that seal. Just the best bourbon that’s ever crossed my palate. It’s an experience to be sure, but over one large rock, it’s a journey of flavors. Damn fine bourbon. As a good old Kentucky boy this is a must have. Extremely strong but full of flavor and best enjoyed neat. I had decided to buy a bottle of Bookers a while back as one of my first attempts at trying better whiskys. I found it overpowering for myself, both in strength and in flavour. However, I did find another use for it. One of my colleague’s wife was making irish cream for anyone who wanted to pay for the whisky. I handed over my Bookers and a couple months later received what has been the best irish cream I (and others, when I share) have ever had. Not sure if this is sacrilegious, but the bold flavours of this bourbon transfers itself very well to irish cream. Not sacrilegious at all – I’m glad you were able to find a use for a bottle you didn’t like – when that happens to me I either give it away or try to acquire a taste for it. 🙂 Booker’s is definitely powerful stuff – did you try watering it down heavily? I had some at a bbq this summer,and it was great. I totally agree that you need ice and/or water. Definitley enjoy it slowly. Great review. My favorite bourbon other than ones that are difficult to find. For me, anywhere from 1/2 – 1 to 1 bourbon really brings out the flavors. I agree Bookers is definitely not for the faint of heart. I recently had it for the first time at friend’s house and quite enjoyed it with a couple of ice cubes. I nursed about two ounces for roughly an hour and as the ice melted the bourbon became less fiery and more pleasant to sip. The bottle my friend had was 130 proof. I decided to buy a bottle today and all the store had was 128.5 proof, but no point quibbling over .75% alcohol. Cost $55.99 here in the eastern suburbs of Atlanta. Excellent review. Sipping Booker’s is like listening to Miles Davis’ jazz: It really takes a little effort to understand and enjoy everything that’s going on there. Just a good splash is all the water I need. 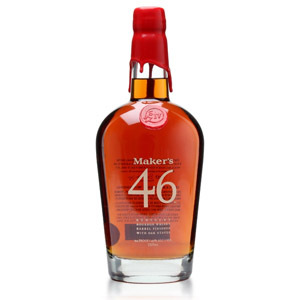 After some very initial forays into bourbon (from years of being devoted to Lagavulin and Laphroig), I asked a friend who heads the liquor dept of a major retailer in New Orleans to recommend good value higher end bourbon and he pointed me to Bookers. I bought a bottle, and then struggled as others apparently have with finding the right dilution rate. Your guidance is reassuring – I keep wanting to put more than a dropper-full and then feel guilty that I’d be messing with the distillation. So I gave up and turned to Col. EH Taylor for spice and Weller for comfort. But I just came back from a bar experience just like yours where this was the best option, and after watering heavily (at about 1:3) found this to be an extraordinarily rich pour. You’ve reassured me I’m not committing a crime. Like swallowing oak splinters! It is flavorful, but I can’t get past the overwhelming, harsh, bitter burning sensation, all the way down. Yes, I watered it to my preferred proof, and even further. And you know what I get? A watery burn instead of a rich and flavorful burn. I even tried it with ice–which I rarely do–but it still burns. I gave it several tries. I let it sit for quite a while between tries (to oxidize). I even aerated it. It’s still harsh, bitter and painful to swallow. There are so many great bourbons out there, like Four Roses Single Barrel, Russell’s Reserve Single Barrel, Angel’s Envy, Stagg Jr, E.H. Taylor, Rock Hill Farms, Wild Turkey Rare Breed. Each and every one of those blows Booker’s right out of the water! Don’t waste your time or money with this. Beam, Inc. obviously do not know how (or are unwilling to) to cut out the nasty heads and tails from the distillation run. Same with Heaven Hill distillates. 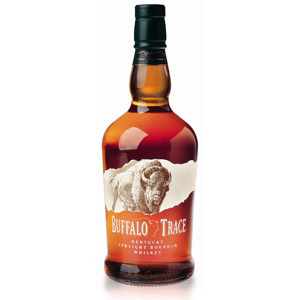 I’ve tried many, many bourbons; but if you don’t believe me, taste Bookers side-by-side with anything from Four Roses, Wild Turkey or Buffalo Trace. Life’s too short to choke down nasty bourbon like this. First, there is a huge difference between the batches that came out in 2014 and later. All the 2014 batches are deep, dark and complex with less burn. 2015 comes in as not so complex or flavorful, but still a nice sip with a bit of a burn. Remember, depending on the cask, this comes in at 128 to 130 proof. 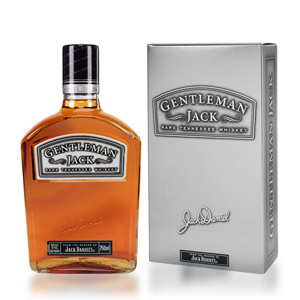 There is no way you can compare with the watered down bourbons that are blended and cut with water for consistency. Bookers is the real deal. Do the side by side taste tests and you will find the deep complexity that others lack. Stock up on the 2014 and earlier stuff if you can find it. The easy way to tell it that the boxes are unstained. Thanks for the tip, Rob. Cheers! This used to be one of my favorites until the day I tried Noah’s Mill. Noah’s is a blended cask strength bourbon that is much better than the sum of its parts. At 114 proof it has a lot of the rich flavors reminiscent of Bookers but comes in much smoother. Remarkably smooth considering the strength. One thing I do enjoy using Bookers for is a good Manhattan, I find the strength and bold flavor stand up well to a little antica or cocchi vermouth.